Dealing with a dog or cat suffering from diarrhea is not fun for anyone. 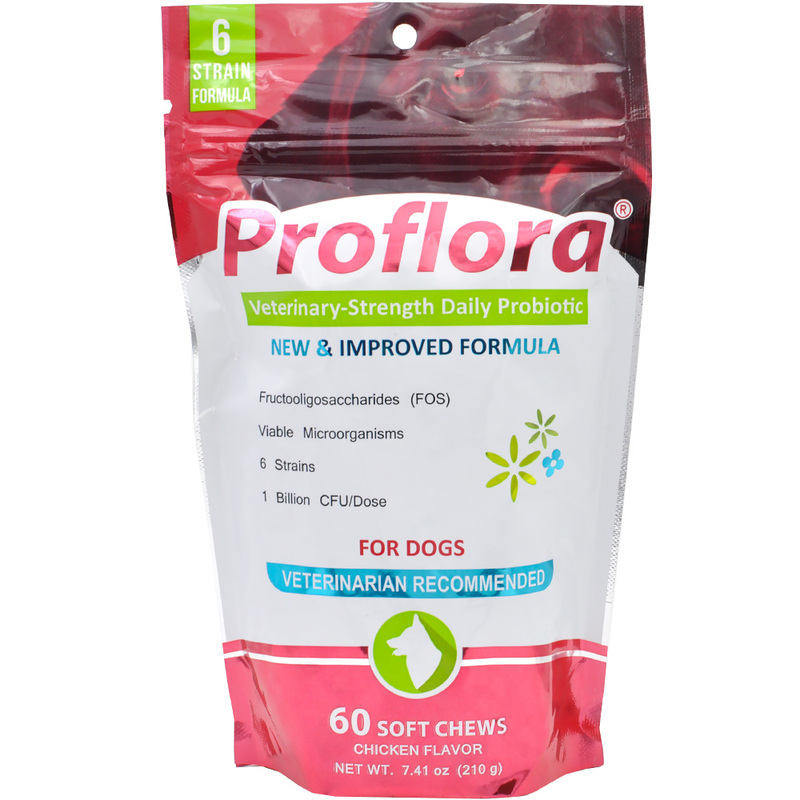 Unfortunately for pet owners, diarrhea is a relatively common occurrence in household pets. Luckily, in most cases, the problem will resolve itself without intervention within a few hours or a day at most. The problem is that, while diarrhea in dogs and cats is usually a relatively harmless and frequently occurring condition – much like a child with a common cold – diarrhea can also be a symptom of a bigger underlying problem. Read on to find out the symptoms of diarrhea in dogs and cats, along with possible causes and simple ways to prevent diarrhea from re-occurring. You’ll also find out what to do if the condition doesn’t resolve itself and learn how to treat diarrhea in dogs and cats. The most common and obvious symptoms of diarrhea in dogs and cats is loose, soft, or watery stools. Pets with diarrhea tend to defecate on a more frequent basis than usual and may sometimes get “caught short” and have an accident inside the house or car. Other symptoms can include worms, blood, or mucus in their stool. Pets can sometimes strain to defecate and show signs that they feel the need to eliminate but are unable to poop. 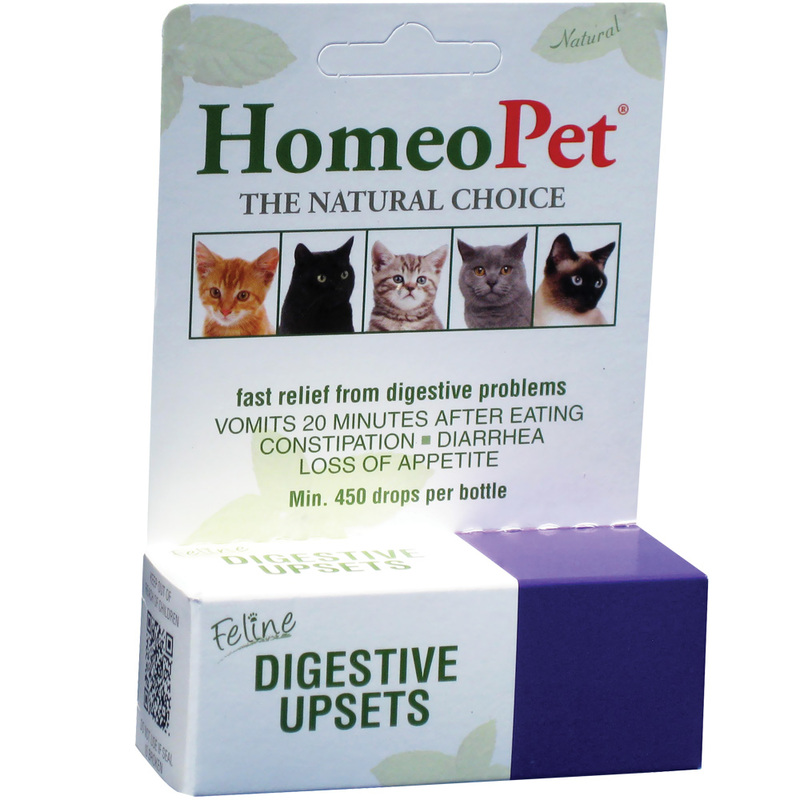 Many dogs and cats suffering from diarrhea show signs similar to that of constipation. This is because diarrhea affects the normal functioning of the GI tract which controls your pet’s rhythmic contractions. This causes them to have the ongoing need to defecate. 1. Do you see your pet hunching over for extended periods of time, but failing to do his business? 2. Do you see any brown, watery stools? – Monitor them carefully to see if they are also showing other seemingly unrelated symptoms. – Other symptoms can point to a bigger and much more serious problem. – Stay alert for signs of abdominal pain or nausea, vomiting, loss of appetite or unexplained weight loss, fever, or unusual weakness or lethargy. When exposed to extreme temperatures or excessive bouts of exercise on a hot day without sufficient hydration. Relatively common digestive issues referred to as inflammatory bowel disease or irritable bowel syndrome are forms of food allergies. They’re usually associated with other symptoms like excessive scratching, but this is not always the case. Liver disease, pancreatitis, hyperthyroidism, and even cancer can have diarrhea as an early symptom. It’s essential not to worry and expect the worst without first talking to your veterinarian since the majority of cases is due to a much more benign cause. Just like humans, dogs and cats can react with long stints of diarrhea when under excessive levels of stress. Since most cases of diarrhea in cats and dogs are not related to a serious underlying medical condition, there are simple steps you can take to prevent diarrhea from re-occurring. 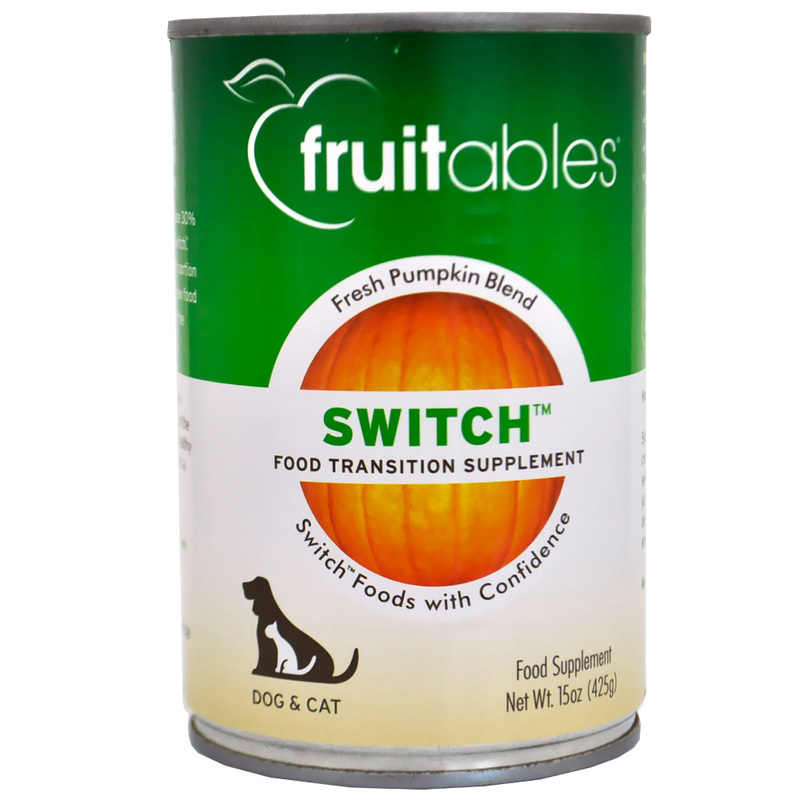 Remove or keep your pet separated from potentially dangerous items that they may be tempted to eat, lick, or chew on. For Fido, this can include rocks, mulch, grass, sticks, and dirt. Houseplants are the most likely culprit for Catto. Keep your floor clean and remove any temptations. If your cat jumps up onto your kitchen benchtop, ensure there is never any human food left unattended. If your dog is allowed into the home office, make sure the floor is clear of paperclips, staples, and scraps of paper. It goes without saying that pets should never have access to your chemical storage areas or garbage. 1. Your pet may have an allergy, so if you introduce new foods one at a time you will be able to identify the culprit should any digestive problems occur. 2. Fido and Catto are used to eating the same food day in, day out. Introducing a new food in any large quantity is almost certain to cause a bout of diarrhea. This doesn’t necessarily mean that your pet is allergic to the new food, just that their gut has been conditioned to handle its usual diet and is having a reaction to the sudden introduction of a new food. For this reason, introduce all new foods slowly, and never cause an abrupt change in your pet’s diet. The first time that you notice that your dog or cat is suffering from diarrhea, write down the time. By carefully monitoring their bowel movements for the rest of the day, you’ll be able to check if the problem resolves. If the diarrhea is completely gone within a day, there is nothing to worry about. You may have an inkling as to why it occurred, and if so, you can take steps to remove the cause, so the problem doesn’t re-occur. If the runs persist for longer than a day, make an appointment with your vet. In the meantime – and subject to the approval of your vet over the phone – it can be beneficial to withhold your pet’s food for the next 12 hours, while always providing plenty of water. After 12 hours, introduce small amounts of a bland, fat-free diet. Consider white meats like chicken or turkey and small amounts of cooked sweet potato or pumpkin. These foods are easy to digest even when suffering from diarrhea. Unlike other foods – like fatty meats and rice – they will tend to pass straight through in the next diarrhea bowel movement without any nutrients being absorbed. While you are waiting for your vet appointment and restricting your pet’s food, observe their movements very carefully. Be sure to note any other symptoms that appear unusual. 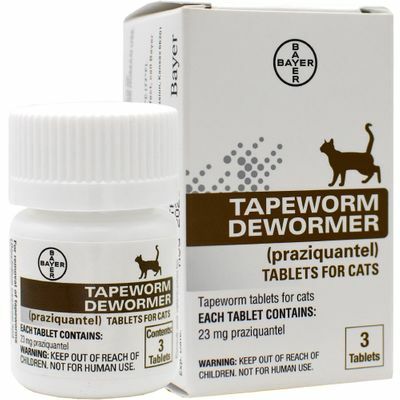 Is your pet increasingly sluggish? Are they showing signs of nausea or vomiting? Anything you notice should be written down promptly – along with the time and date that it occurs . Giving all this information to your vet is crucial. Even if you don’t end up taking your pet to see a veterinarian, having everything written down will give you something to compare to should the problem re-occur. If your dog or cat is passing black or bright red feces, take your pet to a vet hospital, or to your local vet if they make emergency calls, immediately. Any puppy or kitty under one year old with bouts of diarrhea should be monitored very carefully. This also pertains to pets with other medical conditions, extremely small in size, or considered senior by their own breed standards. Dehydration can easily occur in pets that are otherwise considered at-risk. Similarly, if your pet suffers from regular diarrhea, even if each individual session appears to resolve quickly, make a non-emergency appointment to discuss the situation. Your vet will look for underlying medical conditions that are causing their diarrhea to re-occur and may run food allergy tests. The correct treatment for diarrhea in animals will largely depend on its underlying cause. Your veterinarian will probably prescribe a bland diet with plenty of water until the problem resolves. The vet would recommend carefully monitoring their condition over the coming weeks as new foods are gradually reintroduced over time. Some allergy tests may be conducted as the process continues. Your pet could require surgery to have it removed. Otherwise, probiotics or antibiotics are prescribed to treat a bacterial overgrowth, parasite infestation, or other underlying cause. If your dog or cat is suffering from diarrhea, the first step is to remain calm and not panic. Diarrhea can be an underlying symptom of a major health problem, but in the vast majority of cases, it is simply a nuisance condition that will resolve within a few hours or a day on its own, or by restricting food as described above. If the diarrhea is persistent, keep an eye out for other comorbid symptoms. The more information you can give your vet during your appointment, the easier it will be for them to diagnose your pet correctly. James Woller is a long-time dog enthusiast and owner of Release the Hounds, a professional dog walking and boarding company in Vancouver, Canada. On his days off from running his company, he enjoys learning and writing about topics that are of interest to caring pet owners.